The word Alpha means "the first and typically the brightest," and these Cherokee Alpha Wolf travel trailers by Forest River RV are just that! These trailers are the first of the Cherokee models to be fully laminated which delivers a lighter, better-insulated, and sleeker-looking product. You will find that the Alpha Wolf series has taken what customers wanted and made their dreams come true all for less money. Lightweight, luxurious, and laminated are what you will get when you choose an Alpha Wolf unit. 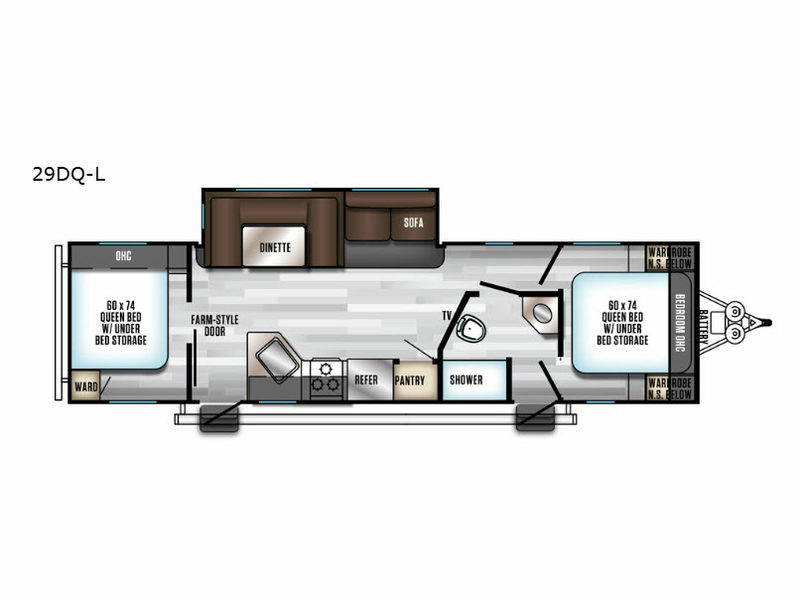 With exceptional features, like the exterior shower and LED lighting, the Alpha Wolf won't ever let you down, no matter where you choose to travel, and the fully functional kitchen with its stainless steel appliances and seamless countertops will keep you feeling right at home even when you find yourself in the heart of the forest. For the best start to any outdoor adventure, you need one of these Cherokee Alpha Wolf travel trailers by Forest River RV!